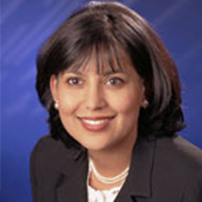 Shalini commenced her legal career in 1991, first interning with leading UK based law firms and then establishing the London office of a leading Indian law firm in 1993. Shalini was head of the London operations for 7 years, assisting multinationals with various matters relating to Indian law and jurisdiction. In 2000, Shalini co-founded and launched ALMT Legal. Following 13 years at the firm Shalini moved on to establish In Se Legal in 2013. In Se Legal, under Shalini’s leadership, offers its clients a unique proposition. The firm operates a hybrid model; offering legal advice and providing consultancy services across a range of diverse industrial sectors and practice areas. The firm has the unique advantage of having an office in London, which acts as a central hub to process work outbound to India. Access to a large pool of experts in India ensures that clients are provided dedicated and tailor made services. Shalini spends her time between India and London, and services clients, primarily in the UK, Europe and the USA. Shalini’s innate knowledge of India, the Indian market and business culture also provides an excellent cultural bridge for European companies seeking to do business in India, in need of information and direction. Shalini regularly guides clients on the nuances of doing business in India and provides insight into various aspects of dealing with Indian colleagues, suppliers and partners. Working closely with other practice groups in India, Shalini’s London presence enables clients to benefit from access to comprehensive Indian legal advice within a European time zone. Shalini speaks frequently at international conferences and has published widely on a range of topics relating to Indian law and jurisdiction.